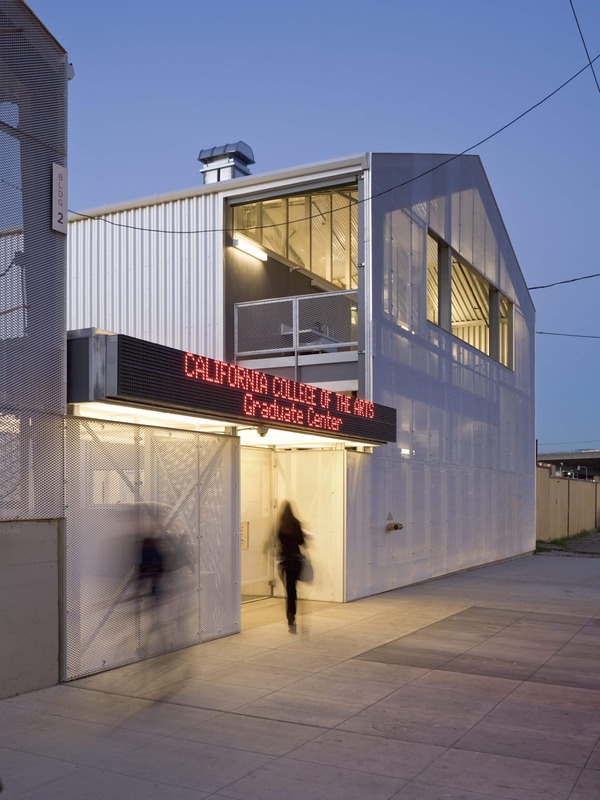 To complete California College of the Arts’ MFA center, Jensen Architects employed inexpensive, utilitarian building systems with provocative results. 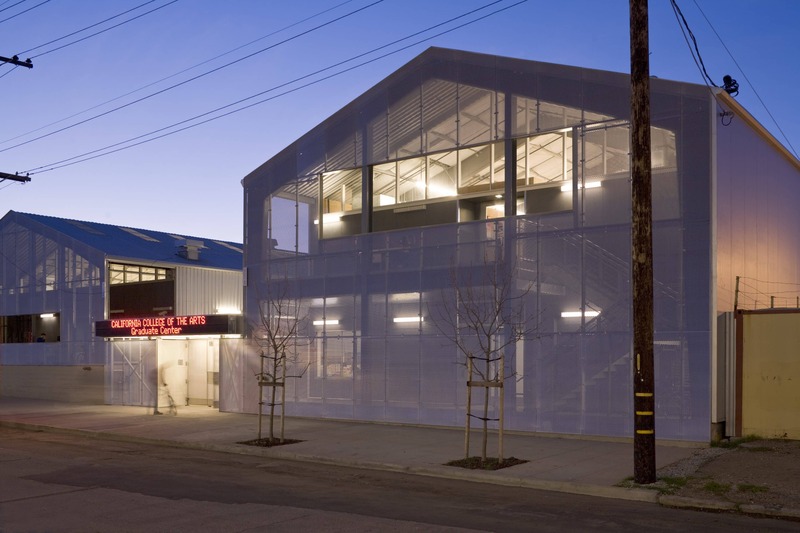 Jensen draped new and existing pre-engineered steel buildings with an aluminum mesh to make them one. 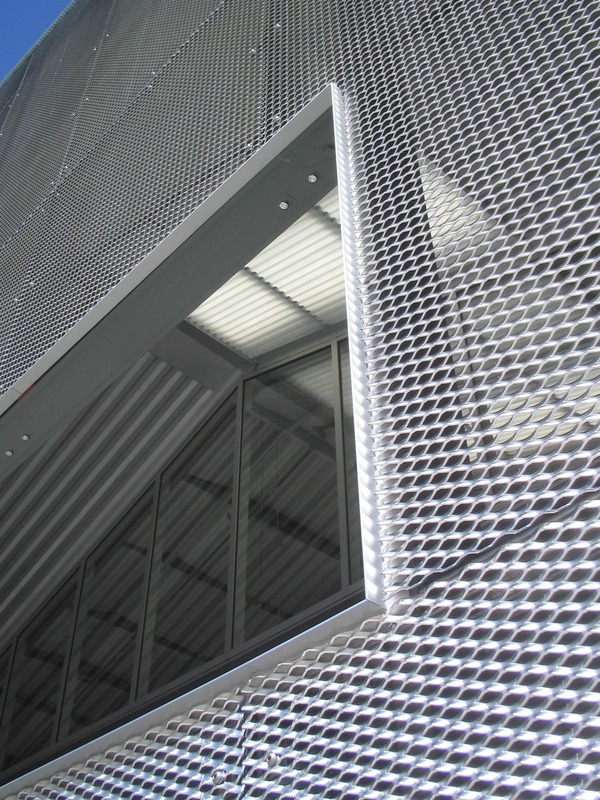 At once delicate and robust, the scrim-like mesh works as a hybrid fence-façade that allows in light while securing the urban complex. 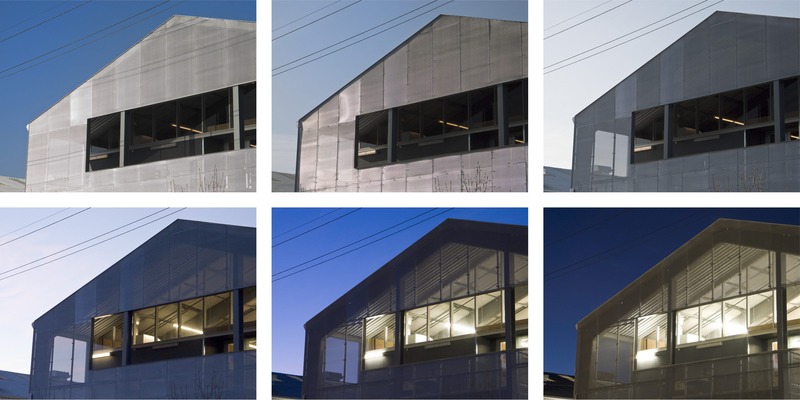 The buildings appear opaque in daylight, but after dark they glow with light from inside. 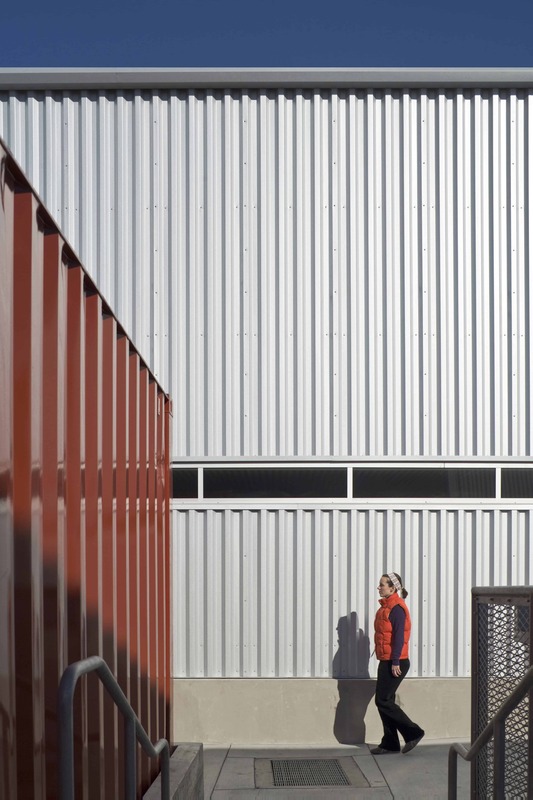 The daily play of light and form fittingly gives this hub of creativity a dynamic presence in the city. 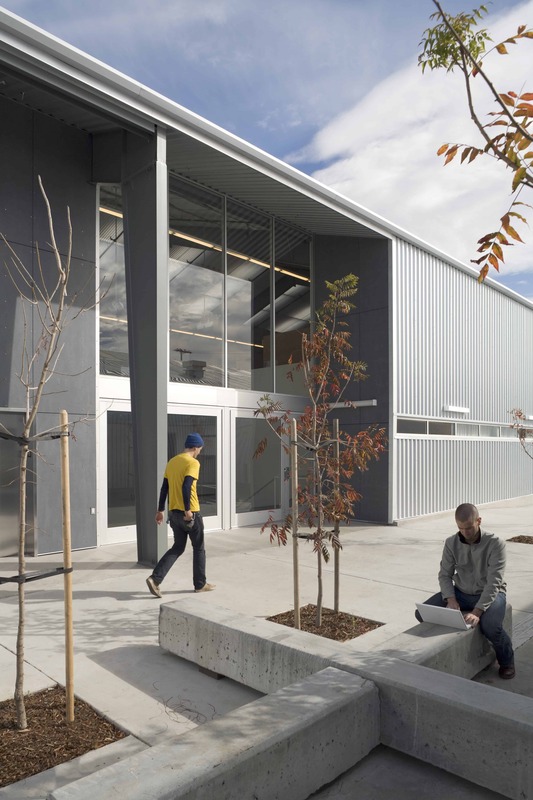 The structure’s heavy steel beams and insulated metal panel siding reference the school’s light-industrial neighbors, yet Jensen has hacked this off-the-shelf system to create a subtly provocative building. 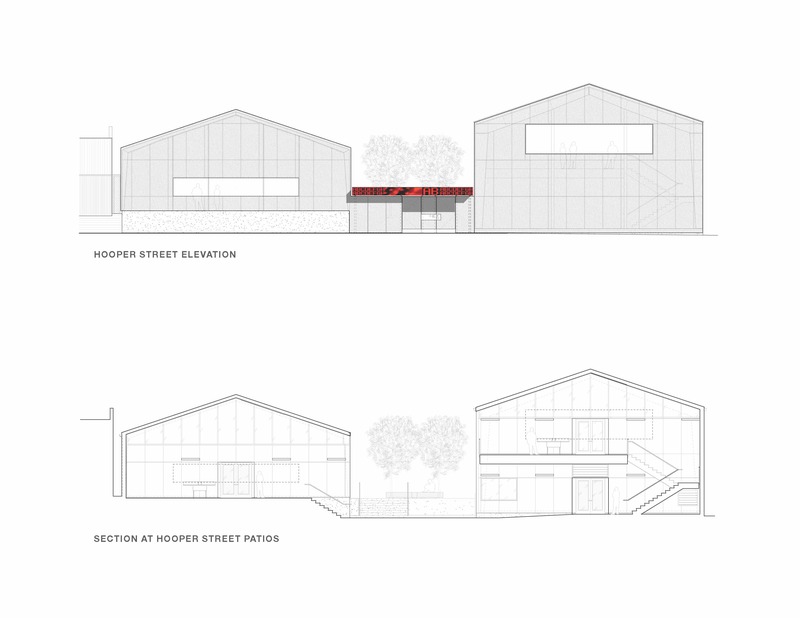 Skylights and clerestories fill the buildings with daylight, and large auto-showroom doors hark back to the warehouse loading docks. Today, the swinging doors provide easy access for students transporting all kinds of materials and projects. 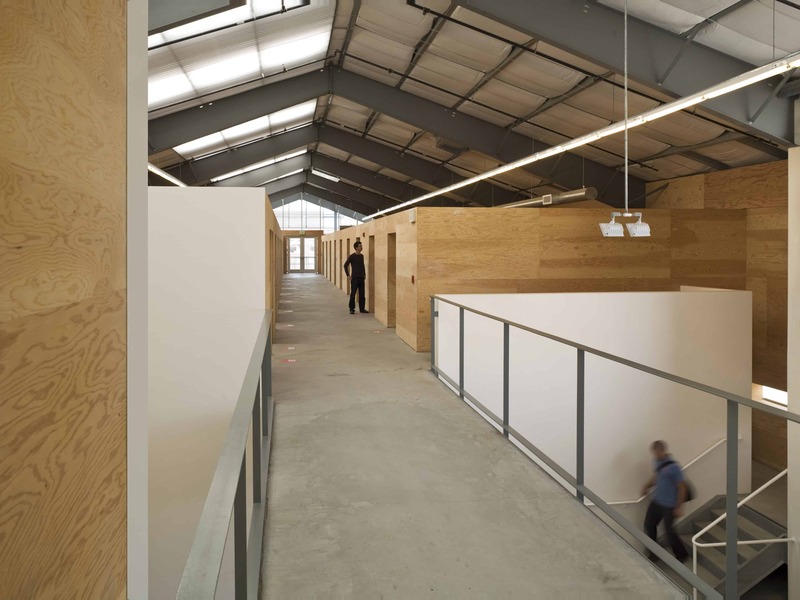 Everything on this site is practical, flexible, and durable, designed to meet the art students’ ever-changing and unpredictable needs. 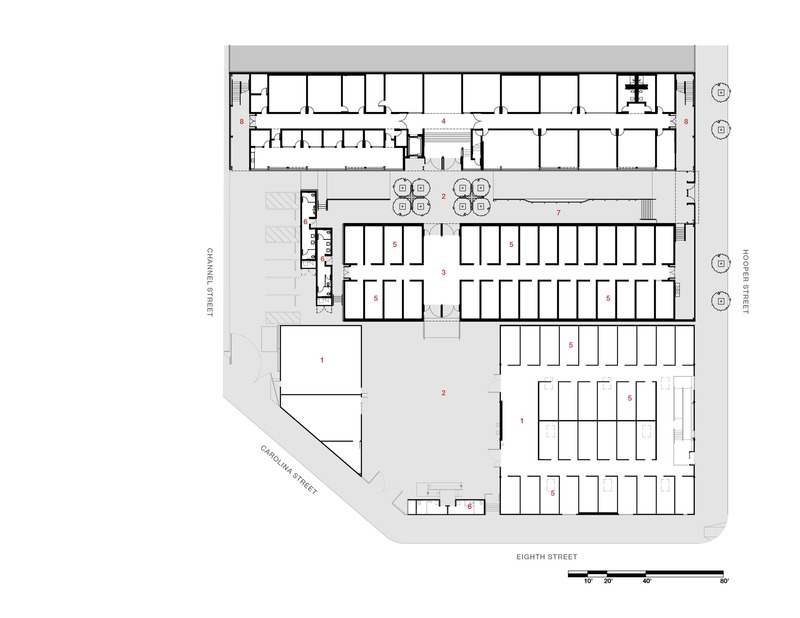 The pre-engineered trusses frame an open, column-free space filled with 68 artist studios, each 10 x 20 feet in size and designed for maximum daylight. 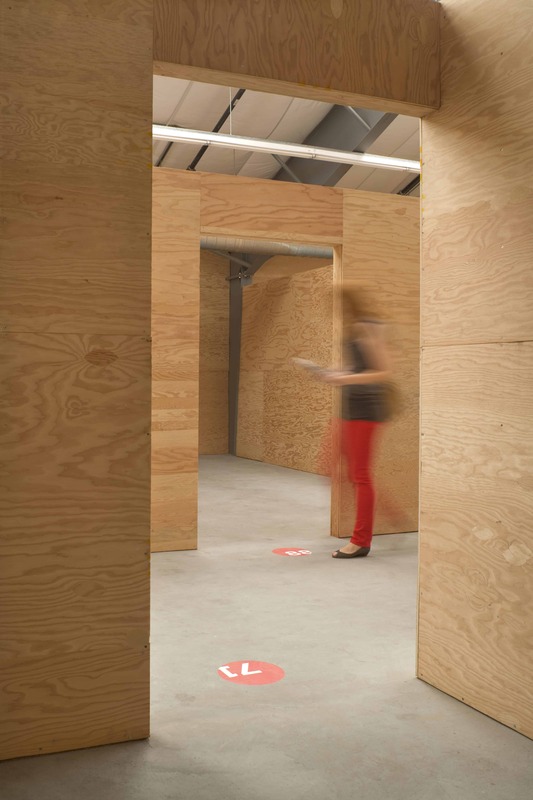 There are also classrooms, exhibition spaces, and offices. 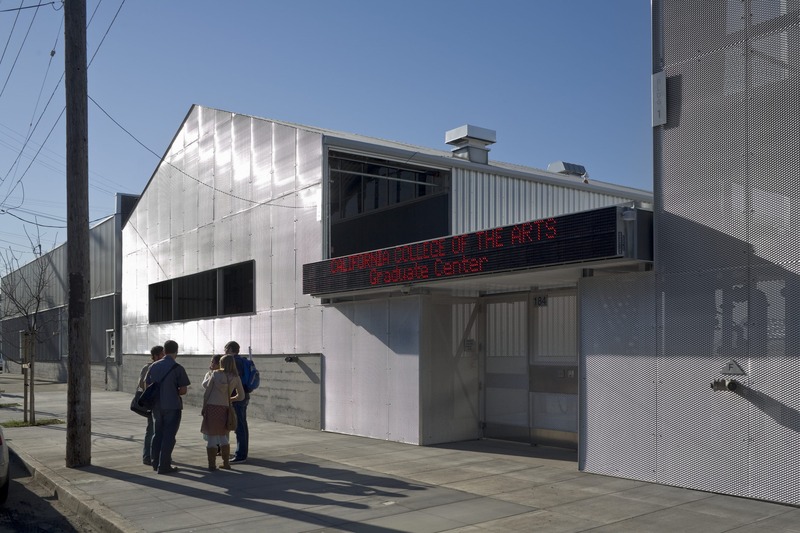 Outside, the tree-shaded courtyard between the buildings provides space for workshops and gatherings. Future reuse doesn’t mean disposable. The mat-slab foundation for the new building is three-feet thick and acts like a giant boat floating on different types of soils. Foundation pile cut-offs were repurposed as benches in the courtyard. 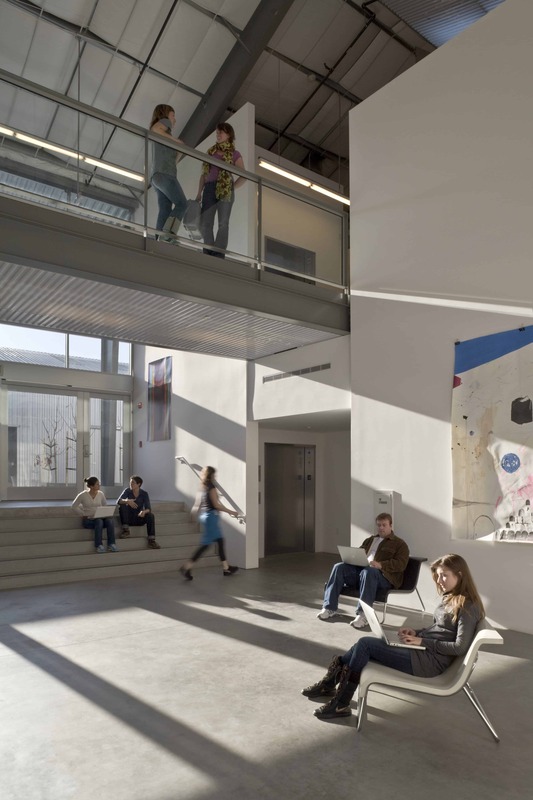 This project, phased over several years, connects with the Graduate Studios building to create a combined 50,000 square-foot, ever-changing graduate studies complex.